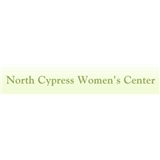 North Cypress Women's Center (Houston) - Book Appointment Online! Our Gynecology practice is centered around delivering comprehensive care to women in a comfortable environment. Dr. Farhina Imtiaz and staff are continuously searching for and learning new treatments and techniques in order to remain cutting edge. We take pride in treating the whole patient and strive for compassionate and individualized care. Do you need a gynecological surgery for medical reasons, but also are thinking about a tummy tuck, lipo-suction or vaginal rejuvenation? Dr. Imtiaz is one of the few female gynecological surgeons in the U.S. that can perform cosmetic gynecological procedures including laparoscopic hysterectomy, minimally invasive surgery, robotic hysterectomy, incontinence surgery, endometrial ablation, female incontinence, permanent sterilization, advanced gynecology surgery and more.